The Fluted Nito Series features tapering sides, rising from the base to its crown in a gentle decrescendo. It then finishes in a flourish with a wide horned top. 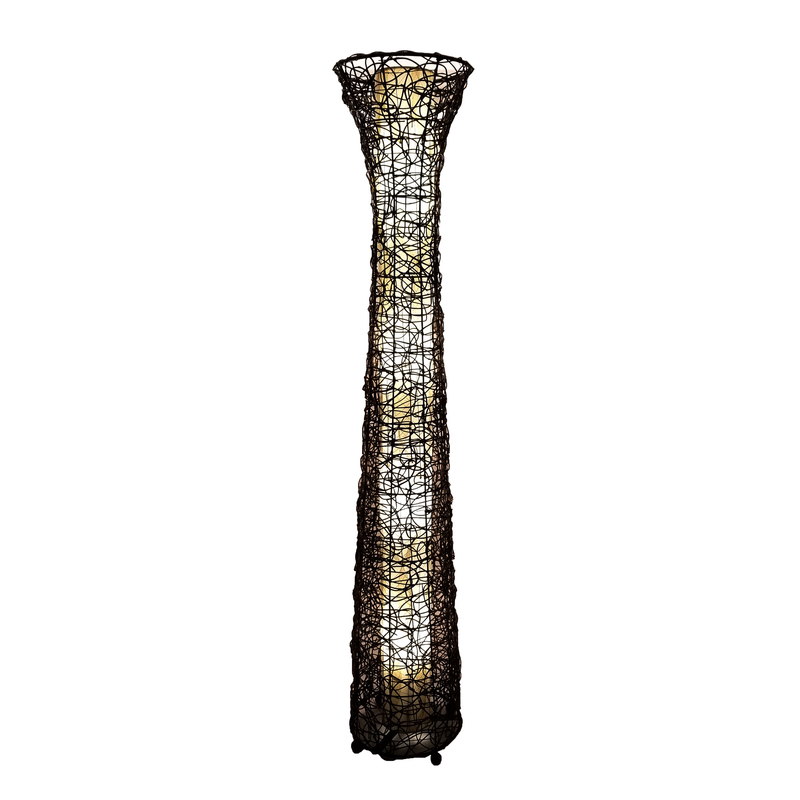 The outer diffuser features nito vine woven into a sturdy, wire mesh that is attached to the frame. The inner diffuser features fossilized cocoa leaves that are handplaced on a standard UL lamp backing and then laminated. The entire lamp is set on wooden finials.